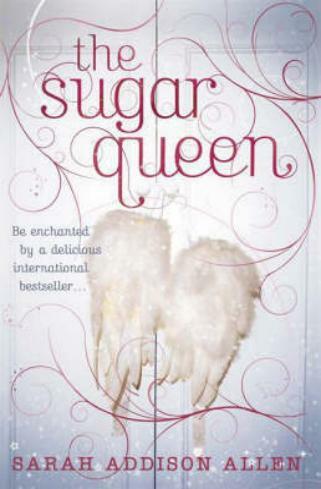 I vaguely remember seeing this book at Exclusive Books, and then I found it last week at the library and seeing as though I am a fan of chick lit books it headed home with me. Saturday afternoon rolled around and with my daughter sleeping I had some spare time and decided to read, but, (and if you read my last post you will know) I am reading Cloud Atlas at the moment – a new to me author- and it was a at a rather hairy part of just being a little difficult to read and I really didn’t feel like concentrating on a different time dialect. So, I picked this up for some light relief. 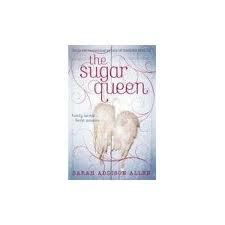 This novel is about friendship, love, what we do to not love and the possibilities of a new day. There is a small twist at the end, which one does suspect closer to the end of the book but if you are a very perceptive reader, you could pick it up earlier and just adds to the magical dimension of this story. Not too much that it doesn’t feel real though. And what better time to read Christmas themed books? 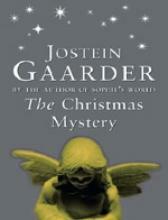 The Christmas Mystery by Jostein Gaarder -(of ‘Sophie’s World’ fame) is one of my favourite Christmas books. Jostein Gaarder weaves a magical tale with his story of Joachim. Joachin buys a magic advent calender on November 30th and every day, a piece of paper falls out of the door of the calendar. Each page tells the story of Elisabet Hansen, who chases a toy lamb that has come to life from an Oslo department store. While chasing the lamb, she meets the angel Epiriel; the shepherds Joshua and Jacob; Caspar, the King of the Orient; and the cherub Impuriel. This is a perfect book to read at the beginning of December as the lead up to Christmas is happening just as it is in the book. Jostein Gaarder has a delightful way with words and story telling and with some philosophical musings at the same time. it is a mystery about Christmas, and purely delicious. Do you have any favourite Christmas books to share with us? The beginning of Spring means the sunshine and flowers come out to play. Not quite Summer so the intense heat has not hit just yet, which means its the perfect time to indulge in some light hearted reading. Reading which reminds us why we are alive and brings smiles and giggles to the face. Reading which relates to that which is true. Reading for pure pleasure’s sake. Its the lighter side of life as we know it, though some of the realities of the less lighter side come out too. This is one of my favourite strips by Bill Waterson. And if we can imagine dancing to classical music at 78rpm at 1 in the morning, then that should be sure enough to bring a smile to our faces! Here is a list of the books that I own and have read and can vouch for each of them bringing something magical to your day. You know that feeling of, ‘Just don’t have the energy to do anything’ well, this certainly perks up the spirit and sends those frown lines on a bit of a holiday. Take your pick and Happy Reading!